Welcome to the group 24-hour emergency plumber by EPHG Limited and directed by Martin Smith who is the owner of EPHG who is also a qualified gas engineer and has been qualified since 1995. EPHG Limited are a national emergency plumbing company operating in a 24 hour electricial, plumbing, heating & gas services and also covering all local areas within a reasonable distance of the UK. Our business model includes over a combined 600 emergency electricians, plumbers, heating engineer and gas engineer 24 hours and when your looking for a 24-hour emergency plumber then it is best you call the above number and not to mention all the other services we offer. For any other emergency service such as electrical, heating and gas then visit our latest site EPHG Limited. 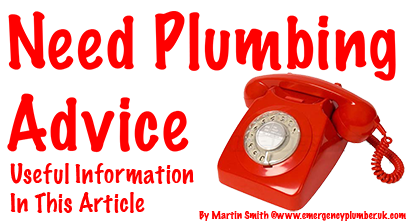 To contact our 24-hr emergency plumbing company, here are our contact numbers. Either call Martin direct on 07720247247 or the office on 08009705724. Office hours are from 09:00am to 17:00pm. 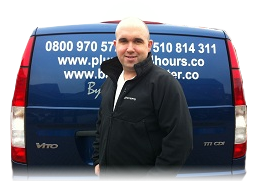 If your looking for an emergency plumber out of hours, then call Martin directly on his mobile. We're not just a 24-hour plumbing emergency company covering the UK with our emergency plumber network, we also run a plumbing article section based on news and plumbing Innovations. Maybe you're looking to save water or ways to prevent water damage. You can either search for ideas yourself or have us inspect your home to advise what you may require. We have promotions on the Auto Stopcock and other products. 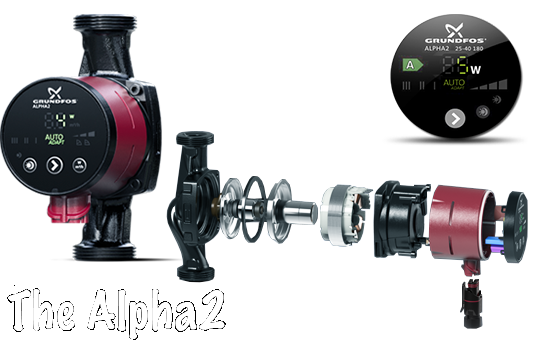 Innovations is all about the future and ways to help the emergency plumber to perfect the way we work in your home. Every month in the UK, there is always something new on the Market and ways to stop your plumbing emergency becoming a disaster. We're here to help promote these innovations and move forwards. If you have any information or plumbing promotions then please follow the contact link below and send us an email. Martin Smith, the emergency plumber, has been writing plumbing articles for over a couple of years now and has completed over 200 plumbing articles and has an impressive 14,163 followers in the social networks. Most articles are based on real life plumbing disasters where as other plumbing articles are based on innovation and new materials, including tools. The articles are all unique and written by Martin Smith. In the home there are always plumbing emergencies 24-hours a day that need fixing. The company, emergency plumber, run by Martin Smith is always trying to help fellow emergency plumbers gain new experience without even going to the job. The emergency plumbing articles are prepared on a daily basis from Monday to Thursday and released about 8:00pm each day, just when boredom sets in and something interesting to read is needed. However, our company takes a summer break, generally starting from April through to August, and the articles are then released once a week or more. Everyone loves news - but not if it is bad news in our home when water is pouring through our ceiling and flooding our property. Latest News: 10th March 2015 - Welcome to our latest news and for this month we would like to introdue you to our latest App that has just been released for emergency plumbing and gas engineers alike. If you have Iphone or Ipad then you can visit the App store and down load the emergency plumber app by clicking here. If you have an android phone, then you can visit the play store and download the app there where we should be in the top 3 currently. Please feel free to leave us a review. 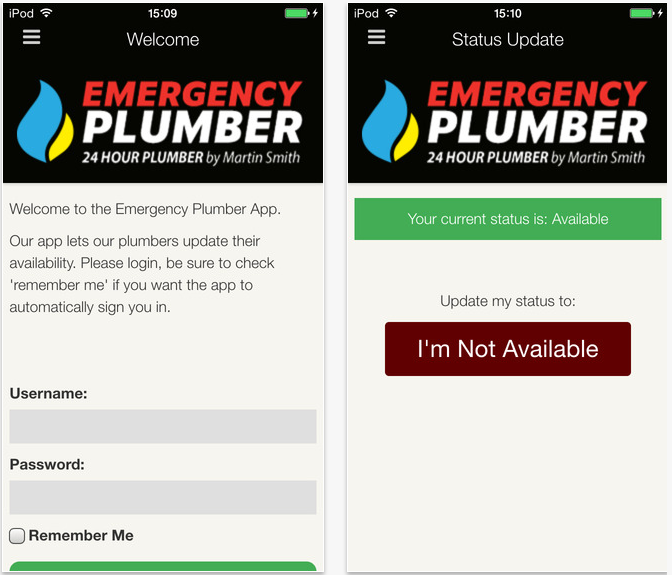 How to use Emergency Plumber App - first of all you need to download the App via the App store, once you have down loaded the App, you will then need to request lost password of which it will be sent to the email address you first submitted when registering with us. When signing in, you need to click on the remember me box in the bottom left and your then ready to go. Each time you turn your self on and off call, it takes a matter of seconds. Plumber of the year 2014 to 2015 has been voted as Thomas Sweeney and we thank him for all his efforts for all his hard work he has put in, for this we have presented him with a gift that Thomas has won. Thomas Sweeney has won the electric pipe freezing machine and hope he gains great satisfication in using it. Wondering what we are about? Martin Smith runs a national company as an agent that boasts over 400 engineers registered within the uk. However, Martin also started a social network, which includes running plumbing articles from Monday to Thursday. Martin is a fully qualified emergency plumber and Gas Safe Engineer and has been specialising in plumbing emergencies over 20-years. Martin has also had experience in fitting complete bathrooms and central heating systems. Martin believes that most emergency plumbers don't have the skills to make a job satisfactory and that there is always room for improvement. For this reason Martin has taken it upon himself as an emergency plumber to educate fellow plumbers. As Martin Smith is a very experienced emergency plumber, he believes that having an agent to run a business, which means working with other fellow emergency plumbers, he can then get the best result a plumbing emergency. How we help is by having our terms and conditions work for the emergency plumber and also work for the customer's protection. If you're an emergency plumber and looking to register your details with us and go on to our database, then check all the information we have to offer before registering.